Assoz.Prof. 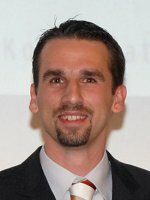 Dr. Herbert Oberacher is an analytical chemist, who was born in 1976 in Innsbruck. In 2002 he received his PhD at the University of Innsbruck, Austria. After spending a year as postdoctoral fellow at the University of the Saarland, Germany, he got a position as senior researcher at the Institute of Legal Medicine of the Innsbruck Medical University, Austria. In 2007 he received the “venia docendi” for bioanalysis, and in 2011 he was appointed as Associate Professor. Förderpreis für junge Wissenschaftler of the Society of Toxicological and Forensic Chemistry (2011). He has (co-)authored more than 100 papers in international scientific journals and holds three patents.